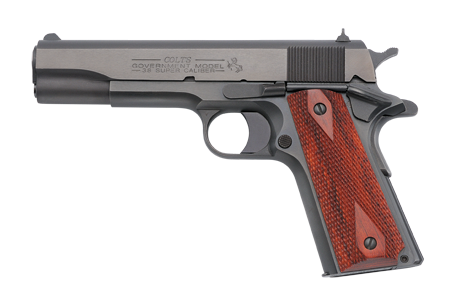 The Colt 1911 Series is a direct descendant of the original Colt M1911. A long trigger, flat mainspring housing and original style recoil spring system remain from the original M1911 design. Upgrades from the original include white dot sights and a lowered ejection port for extra reliability. It still remains “the standard” that everyone tries to imitate, but no one duplicates.